A lone chimney and and some wayside panels are all that remain of the camp of Civilian Conservation Corps 949th Company. With unemployment during the Great Depression reaching nearly 25% in Spokane, thousands of young men in the Inland Northwest joined the Civilian Conservation Corps (CCC). Earning $30 per month, they obtained an education and vocational training while working in the nation’s untamed lands. The 949th Company of the CCC was first organized at Fort George Wright, the headquarters of the Inland Northwest CCC, in 1933. The company’s first project was building themselves a new camp, approximately seven miles outside of Spokane, where they could work on Seven Mile State Park, now known as Riverside State Park. In October 1933, the men settled into their new home, Camp Seven Mile, designated camp SP-7 of the Ft. George Wright District, and began working on the new state park. They cleared old logging slash and litter, removed old logging roads and buildings, and replanted the forest. They then created new roads leading to and through the park, including the Aubrey L. White Parkway, as well as horse trails and footpaths for visitors to travel. Company 949 built the suspension bridge at Bowl and Pitcher, as well as the park office and maintenance shop. Picnic areas were built, featuring community kitchens, water supply, bathrooms, picnic tables, fireplaces and drinking fountains. 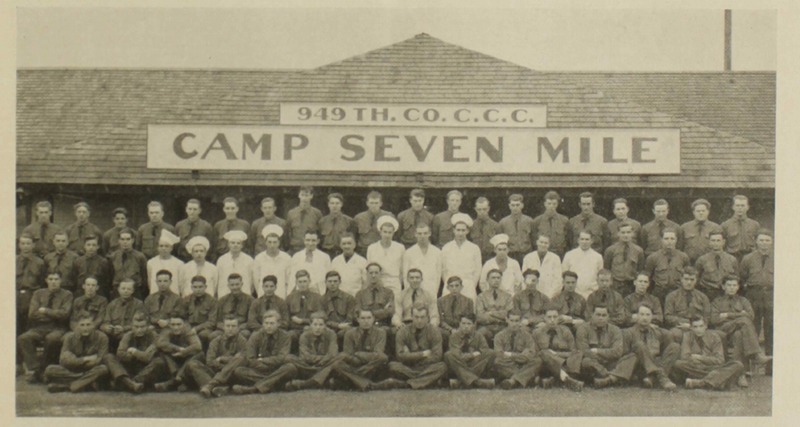 When they were not at work, the men of Company 949 could enjoy the many forms of education and recreation at Camp Seven Mile: By 1938 the camp had its own telephone, a barber, a woodworking shop, a recreation hall, and a brand-new school building. They could take correspondence classes or work on vocational training, gaining high school diplomas or learning new skills such as woodworking, auto mechanics, or typewriting. The men also built outdoor recreational areas for themselves to enjoy, and played hockey together in the winter or, in the summer, could join the Camp Seven Mile baseball team and compete against other local A.A.U. teams. As the economy improved and America headed to war, Congress voted in 1942 to end the Civilian Conservation Corps. Camp Seven Mile was converted into a military base during World War II and the Korean War, and then the base was turned into a military reservation. While the work of the men of Company 949 is still evident in Riverside State Park, their home, Camp Seven Mile, has been demolished. However, traces of the camp are still visible: foundations of camp buildings, an old pump house, and the chimney of the old dining hall remain as direct reminders of the men who worked to help make Riverside State Park what it is today. Men from the 949th Company of the Civilian Conservation Corps: Founded at Ft. George Wright, Company 949 of Camp Seven Mile cleared the donated land at Seven Mile in order to build the trails, camps, suspension bridge and various buildings of Seven Mile State Park, today known as Riverside State Park. ~ Source: Image courtesy of the Oregon State University. 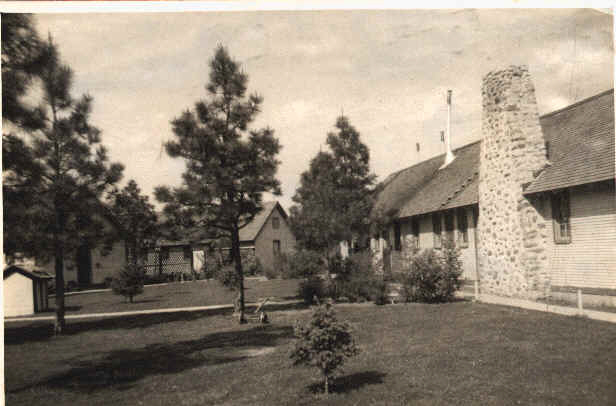 Camp Seven Mile: The chimney of the dining hall (pictured, right) is all that remains of the building today. ~ Source: Image courtesy of Riverside State Park. Dining Hall Chimney Today: The rock chimney is all that remains of what was once the Camp Seven Mile dining hall. Similar remnants can be seen at the site of other buildings. ~ Source: Image courtesy of Riverside State Park. 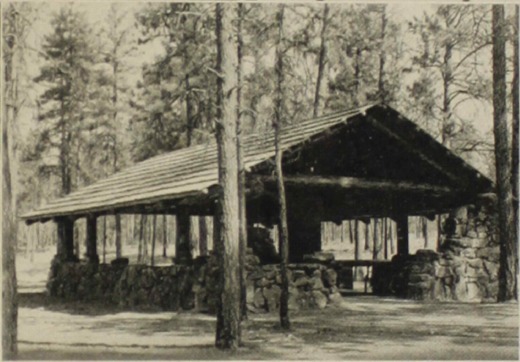 Riverside State Park Picnic Shelter: This image of a picnic shelter was featured in the 1937 CCC annual, as an example of the various buildings Company 949 added to Riverside State Park. ~ Source: Image courtesy of Oregon State University. 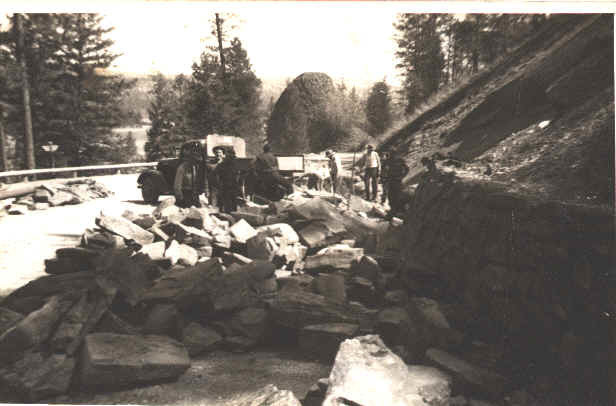 Company 949 Hard at Work: Men of the CCC building the rock wall of Aubrey L. White Parkway, which is still visible today. ~ Source: Image courtesy of Riverside State Park. Riverside State Park: This early photo of Riverside State Park was taken by the Ft. George Wright CCC and was featured in the 1937 edition of their annual yearbook. ~ Source: Image courtesy of Oregon State University. The Camp Seven Mile Baseball Team: In 1935, Camp Seven Mile's baseball team won the Amateur Athletic Union (A.A.U.) league title, after winning ten consecutive games that season. The men practiced on a baseball diamond they had built at Camp Seven Mile, which in the winter would be converted into an ice rink for skating and hockey. ~ Source: Image courtesy of the Washington State University Digital Archives. 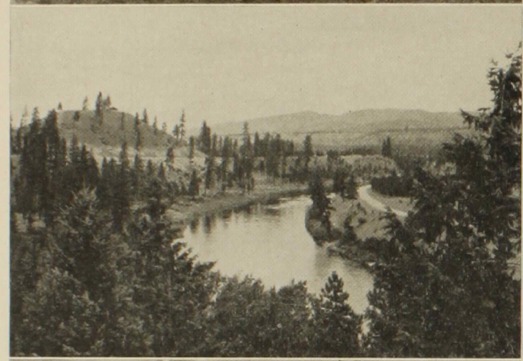 Elisheba R. Gearhardt, “Camp Seven Mile,” Spokane Historical, accessed April 24, 2019, https://spokanehistorical.org/items/show/826.